As an eBook seller on eBay I am often asked how my eBooks are delivered instantly, as soon as payment is made. The answer I give them is always the same, I tell them that I use a delivery script that runs via my website. This sounds like a really complicated process, I mean come on, how can something on my website be delivering my eBay products, and how on earth does it know when a sale is made? Surely something like this would cost thousands to buy and require a genius to set it up…right? WRONG! Believe it or not delivering your digital products instantly is a piece of cake and won’t cost you thousands. All you need is a “script” that handles the delivery for you. If you are unsure of what a script is, think of it as a piece of software, but this software wont run on your home PC, it will run on your website hosting package. This allows the script to run 24/7 even when your PC is switched off! These scripts use IPN (instant payment notification) technology; this means that as soon as a payment is made, the information from the transaction is sent directly to your script. The script then takes that information and processes the order for you, if everything is correct the script then delivers a download link straight to the customer’s email inbox. So now you know the basics of how these scripts work, let me talk you through the advantages and disadvantages of the three most popular auto delivery scripts; My Digital Dispatch, The EW Portal and DL Guard. Let’s begin with My Digital Dispatch. If you are familiar with installing scripts then you will be very familiar with the MYDD installation process. You are required to set up a MYSQL database and then input the database details into the config file, once you have added to relevant information into the config file you simply upload all of the files to your web space and follow the onscreen instructions. The whole process shouldn’t take you any more than 5 minutes and even a PC novice shouldn’t have any problems. However, even if the installation process is too much you can have this installed free. MYDD supports the PayPal payment processing system and uses PayPal’s IPN technology, this allows you to deliver your items via your website and via eBay, as long as the customer has paid using PayPal. MYDD uses the item name to identify the product, so if you are selling a product on eBay and the item title is “How to identify spoof emails” then the item name in MYDD must be exactly the same or your item won’t get delivered. This is fine, but what if you want to change the item title in eBay? Unfortunately that means that you also need to go and create a new item in MYDD, it won’t take you more than 5 minutes, but if you have a lot of items then this could be quite time consuming. As well as working with eBay, you can also use MYDD to deliver products from your website. Creating a simple PayPal button allows you to do this, all you have to do is make sure that the “item_name” variable matches the item name in your MYDD control panel. Unfortunately at the time of writing MYDD doesn’t have a shopping cart feature to support multiple product purchases, but who knows what the future holds? One of the main security features of MYDD is the ability to recognize what currency the buyer has paid in, if the buyer pays less than the set price then MYDD will see this as a fraudulant transaction and won`t deliver the download link. This prevents any sneaky buyers trying to under-pay for your items! MYDD also sends out encrypted, expiring download links to your customers. Encrypted download links reduce the chance of your download URL`s being shared out to non-payers! This feature could be crucial if you are selling high value digital items. Insert affiliate code plug-in, Email template customisation, one click plug-in installation, transaction log, free 6 months hosting if you have installation problems. Like MYDD the EW Portal requires you to set up a MYSQL database on your hosting account, once you have set up the database you need to upload all of the files to your web space. After uploading the files you simply follow the onscreen wizard to complete your installation. This is almost the exact same installation process as MYDD, however the EW Portal doesn’t require you to edit the config file, the script automatically edits the file for you. Again, much like MYDD. The portal works in conjunction with PayPal and PayPal`s IPN technology, however that is where the similarities end. The EW Portal identifies the items by the item number (the item number in the control panel NOT the eBay item number!) and not by the item name. This means that you don’t need to change the item details in your control panel even if you change your items name in eBay. All you need to do for eBay delivery is insert a tiny piece of invisible HTML code into your listing, this tiny piece of code lets the portal identify which item has been sold and which item should be sent out to the customer. Like MYDD the EW Portal also works seamlessly with your website. The EW Portal generates unique PayPal buttons that can be placed on your website. This is done in the same way as MYDD for single item purchases, however the Portal also has a shopping cart feature that allows you to sell multiple items via your website. No longer do you have to worry about people stealing your download links and illegally downloading your products. Each link generated by the EW Portal is encrypted and can be set to expire after “x” number of clicks or “x” number of hours. You are also able to track each link in detail from your control panel. You can see what time the link was sent out, where it was sent, how many times the link has been clicked and the IP Address of the person that clicked on the link, it also lets you lock the download link to an IP address for increased link security. The portal also uses “File Fetch” technology to protect your download pages, this means that even if someone finds your download page there is no way of them downloading the product unless they have paid you first, you can see an example download page below, please feel free to try and steal the product! Affiliate System, Manually issue links, Anti-fraud Shopping Cart, Mailing List, Coupon Generation, Secure download pages, full email and HTML template customisation, support for offline goods, real time sales statistics, real time customer data, IPN log and automatic receipt generation. Like the other 2 scripts DLGuard requires you to create a MYSQL database before you begin the installation process. Once you have set up the database you have 2 options, you can either do a manual installation, or you can use some software that takes you through the process using a “Wizard”. All in all the installation time for all 3 products is fairly similar. Like the other scripts DLGuard uses IPN technology, however DLGuard doesn’t just support PayPal. DLGuard takes a leap ahead of its competitors by offering seamless integration with five payment processors as well as PayPal. Obviously this is a huge advantage if you are planning to use a payment processor other than PayPal. As well as working in conjunction with eBay, DL Guard also works on your website and just like the EW Portal it can be used for multiple item purchases. The multiple item purchases are all handled via the built in shopping cart. Like the other scriptsl, DLGuard allows you to send out encrypted, expiring download links to your customers. If you don’t want to run the risk of your emails being caught by a Spam filter you could also choose to send your customer to a secure download page to download their product. As you would expect these features are available to you no matter which payment processor you are using to accept payments. Membership script, issue bonus items with products, shopping cart, secure download pages, auto responder integration, full template customisation, product summary screen, detailed reports and statistics, easy backup of product and customer information. Thanks for reading this far, I hope you enjoyed it! I’m sure you are capable of making your own mind up about which product is the best for you, below is a table that should help you compare the features of all 3 scripts. Are you a Cookie Stuffer? Where do you stand on cookie stuffing? Hello there and welcome to another weeks newsletter, this week I am heading over to “the darkside” to look at an un-ethical technique that was brought to my attention a couple of days ago. The technique is known as “Cookie Stuffing” and is used by affiliates (and some adware applications) to plant affiliate cookies on a users PC without them actually clicking on an affiliate link. The technique is outlawed by a lot of major affiliate companies such as Commission Junction and Linkshare, however there are still lot’s of very successful affiliates using the methods on the two networks. Why do CJ and Linkshare allow this? Simple, because it makes them more money! For every affiliate transaction that occurs the affiliate management company (CJ, Linkshare, etc.) take a percentage of the sale. Cookie stuffing means that more sales will be credited to affiliates, which equates to more money for the affiliate companies but less profit for the vendor. For example, let’s say that I used cookie stuffing on this very page. I could stuff this page with an eBay or Amazon affiliate cookie. If I got 500 visitors to the page, that would mean 500 “clicks” on my Amazon/ebay affiliate link. All of this would be done in the background without you knowing. So why is this so bad – let’s take a look. The main complaint from affiliates that don’t use the cookie stuffing method if that there commissions are being stolen by these “stuffing” techniques. The cookie stuffers cookie would overwrite any genuine cookie that had been created by a legitimate click on an affiliate link. Meaning if the cookied user was to make a purchase, the cookie stuffer would get the commission instead of the legitimate click! Earlier I also mentioned adware. You may have heard of “Zango” and “180 Solutions”, these applications will install on your PC, usually without your knowledge and will plant affiliate cookies on your PC when you visit a certain website or “hit” a particular subject. 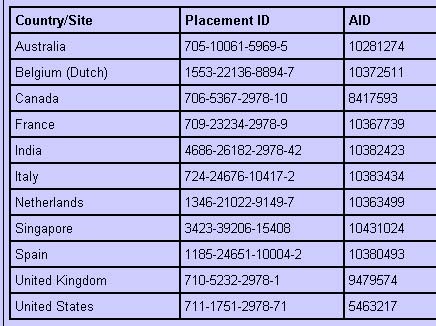 These companies have been reported in the past for cookie stuffing but again it is still widely believed that the applications are stuffing cookies illegally on your PC! (Do a search for Zango/180 solutions cookie stuffing and see what you can find!) Whilst they are still making the affiliate companies’ money (CJ, Linksahre, CB, etc.) the trend looks set to continue. I fear that this worrying and lets be honest – unethical to the extreme, method of making affiliate sales could result in a vendor backlash! If a vendor is offering 50% commission on a product to affiliates, how long will it take them to lower the commission percentage to make up for the amount of money they are losing from cookie stuffers? Where do you all stand on the cookie stuffing debate? Should you use un-ethical methods if it brings you results or is it really not worth risking your affiliate account to make a quick buck? Hello everyone, let me start by welcoming you to this weeks “Slightly Different” newsletter. The difference being that I need your help this time! As you may (or may not) know, I do A LOT of work helping people with various web design problems. These things range from teaching people how to FTP, mastering Dreamweaver and so on. I have a big project on the go that is aimed at helping out those people – you could even be one of them! That are struggling to come to grips with web design or would just like to gain more information on the subject. Part of the project will be a massive Q&A session answering people’s web design problems. (Can you see where i’m heading with this ;-)) That’s where you come in – I need you to ask me questions! Thanks for reading and I look forward to seeing your questions! I will of course be keeping you updated on this project throughout the coming months. Greetings once again to another newsletter. Sometimes I struggle to come up with subjects for the newsletter but this week something jumped right out at me. A few weeks ago eBay announced they would be changing over to a brand new linking structure for their affiliates, judging by some of the questions I have been asked a lot of you are still very unsure about the implications, so in this weeks newsletter I am going to try and explain everything for you. Let’s start from the most logical point…..the beginning! An initial email was sent out by eBay around September 15th 2006, the email contained basic details about the switch over. The main focus of the email was to tell eBay affiliates that eBay was switching away from the CJ domain links and replacing them with new style “Rover” links. More information was then set to be released on the 25th September. ENCODED URL – PlacementID and AID pair: The PlacementID and AID pair is a country and tool specific value that associates the click with the correct eBay Affiliate Campaign. – PID: Publisher Site ID available in the Commission Junction Interface. – SID: Shopper ID (SID) is an affiliate defined variable used to monitor the specific link that produced each transaction. The SID can be up to 64 characters and is URL-encoded (%20 for a space, %2E for a comma, etc). – loc: Target URL or landing page where user will be directed and must be URL-encoded (ex: http%3A%2F%2Fwww.ebay.com%2F). All active Banners, Buttons and Logos are available within the Commission Junction interface. Please note that expired creatives will not be available in the interface. No action is needed if you are using the Editor Kit, Product Kit, RSS Feed Generator or the Rest API GetSearchResults call – links will be automatically updated. Thank you for continuing to promote all of our eBay Affiliate Programs worldwide. Q: Will my old links still work? A: NO! All old style links must be changed over by the 25th November, after November 25th the links will stop registering commissions. Q: How can I change all of my old links? A: The easiest way to change your links is by using a find/replace software application. You can find the new version of your eBay code by using one of the online tools – Flexible Destination is my favourite. Q: What are the benefits behind the move? A: The main benefit from an end user point of view is that the affiliates don’t need to go through as many “Re-Directs” with the new eBay links. All links now go through eBay’s domain name (http://rover.ebay.com) instead of the CJ URL’s that means the tracking cookies have less chance of being blocked. Q: What if I have my old link encoded in a PDF e-Book that is already “Out there”? Q: Are the any resources to help me through the changeover? Hopefully, this newsletter and the above resources will help you implement the changes before November 25th! Make sure that you change all of your eBay affiliate links before November 25th or you run the risk of losing your eBay commissions!